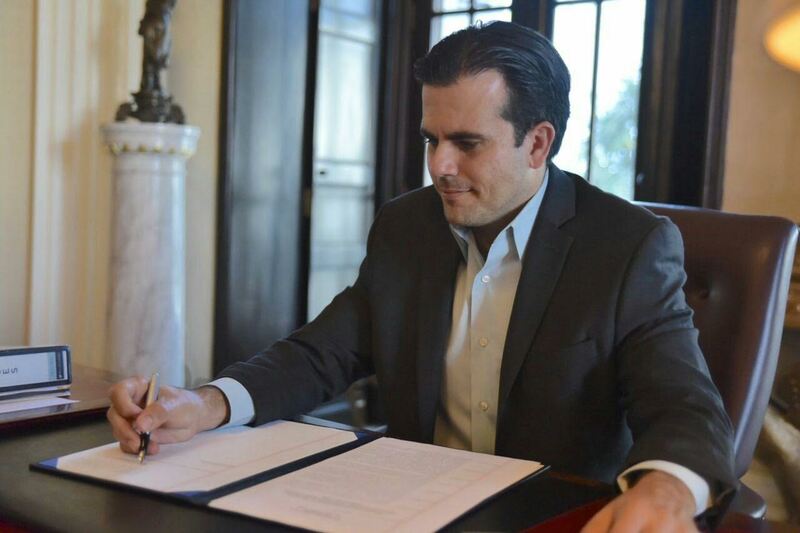 Puerto Rico’s governor will present his plan to pull the indebted island-territory out of crisis – a thankless task. The European Council will adopt a new agreement on Monday allowing Georgians into the passport-free Schengen Area without a visa. The EU Commission proposed the program back in December 2015, and a similar one for Ukraine last April. However, in light of last year’s refugee crisis, member states were initially hesitant to approve it without a suspension mechanism – which was introduced in December 2016. Deliberations over a visa-free deal for Ukraine begin on Monday in Brussels. Last month, Russia announced that it would accept documents issued by separatists in the conflict-ridden Donbass region; Ukrainian leaders will be anxious to parade the fruits of their pro-Europeanism to a battle-weary public. 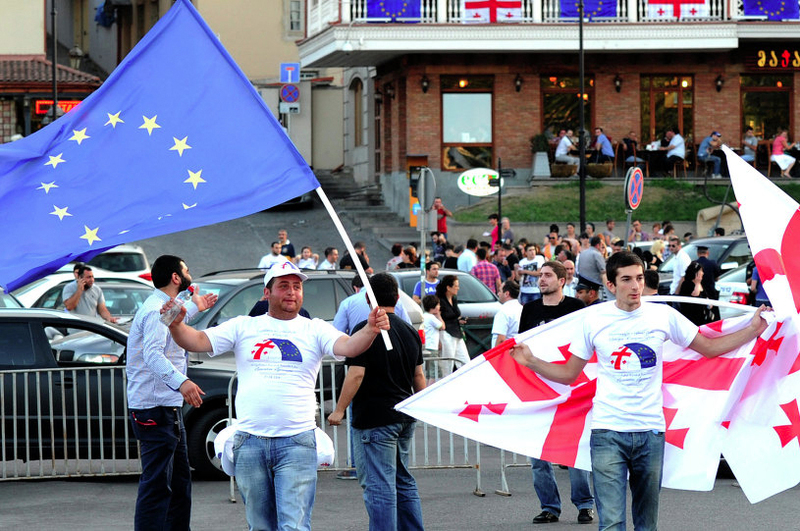 The governments of both Georgia and Ukraine are frantically trying to escape Russia’s orbit. In recent years, both former Soviet countries have undertaken significant political and economic efforts to move closer to Brussels. The visa waiver program is a reward for these reforms. 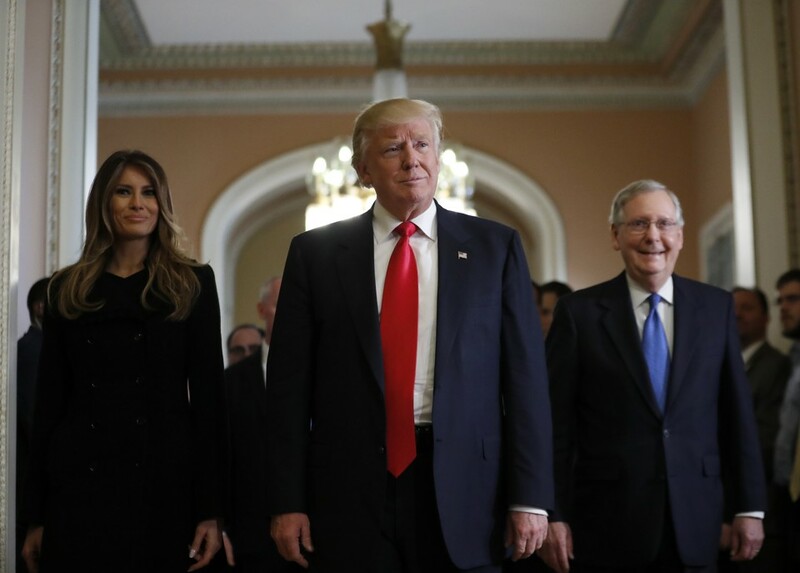 Donald Trump will deliver an ambitious address on the ‘renewal of the American spirit’ to a joint session of Congress on Tuesday. Trump will attempt to rebrand the controversial start to his presidency by focusing on early achievements, such as his executive order on regulatory reform that intends to limit red tape. Whether he successfully appeals to the divided American public, wary Republicans, or agitated Democrats – who have invited immigrants to the address in protest of Mr Trump’s controversial policies – is questionable. Importantly, Trump’s address will also outline how his administration intends to cooperate with Congress on legislative priorities moving forward. One of Trump’s signature policies is tax reform – to simplify tax, reduce the burden on the middle class and increase America’s global competitiveness. But these measures will require Congressional support. Trump’s recent concessions on preventing cuts to key social welfare programs like Social Security and Medicare may generate some support, but he’ll struggle to convince Congress of his more controversial policies. Prosecutors in South Korea will decide whether to formally charge the acting head and heir apparent of Samsung and four other company executives in relation to the country’s ongoing corruption scandal. With exploding phones and the recent delay in the unveiling of its new flagship smartphone, Samsung has had a particularly bad six months. US Defence Secretary James Mattis will tender a report to his president outlining a new strategy to counter ISIS in Iraq and Syria. A more muscular policy – possibly with larger troop deployments – is expected. Marking exactly 45 years since President Richard Nixon’s relationship-making visit to China in 1972, China’s top diplomat will visit the US. Yang Jiechi will be the highest-ranking Chinese official to visit America since Donald Trump assumed office. He’ll be tasked with arranging a meeting between the two countries’ leaders. US GDP growth figures for Q4 2016 are expected to be released. Analysts forecast a solid 2.1% expansion. Nigerian authorities will release economic growth figures, and the prognosis isn’t good. Africa’s second-largest economy (once its largest) is expected to have contracted by more than 1.5% in 2016 after being hammered by low oil prices and mired in political and security risk that frightened away investors. After months of unease and sporadic fighting, armed groups in northern Mali have agreed to allow interim governments to return to Kidal Region. The authorities will return to Gao and Timbuktu on March 2 and 3, respectively. Last month 77 were killed by Islamist militants in Gao, the deadliest attack in the country’s history.